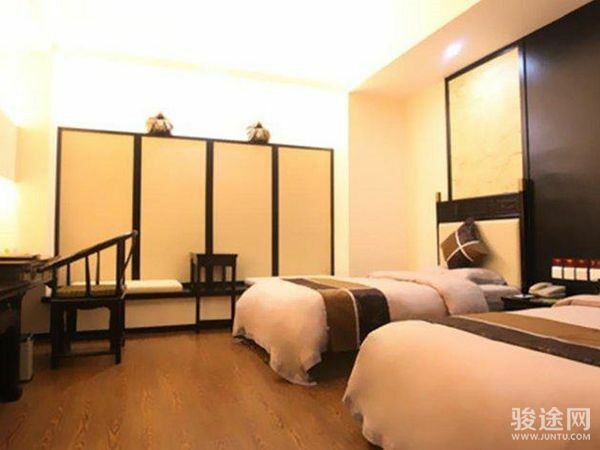 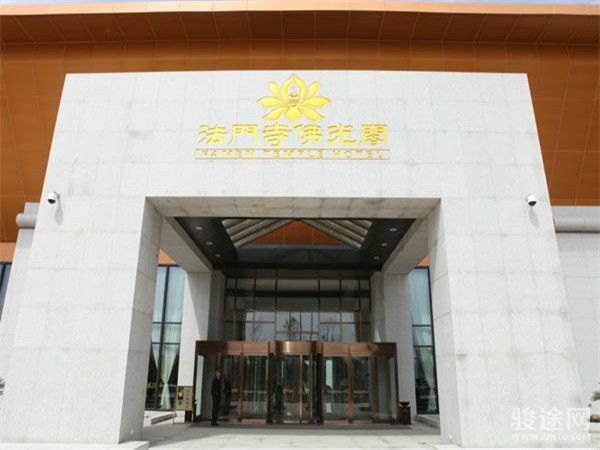 Famen Temple Hotel, located in the new cultural scenic area of Famen Temple, has been so far the one and only hotel featuring the experience of Buddhism culture in northwest China. 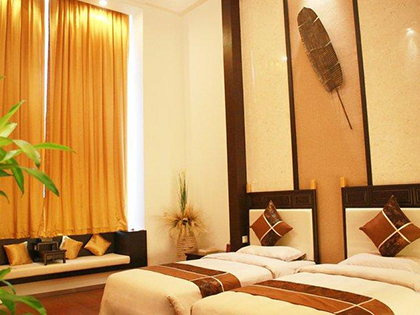 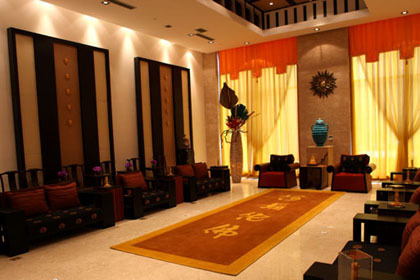 Have being built in line with the standards of five-star hotel, Famen Temple Hotel holds about 200 guest rooms. 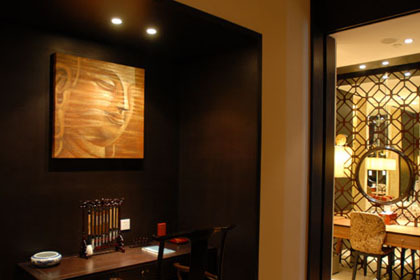 With self-contained facilities and novel designs, each guest room is decorated quaintly and each standard room is provided with a meditation seat for guests to practice meditation. 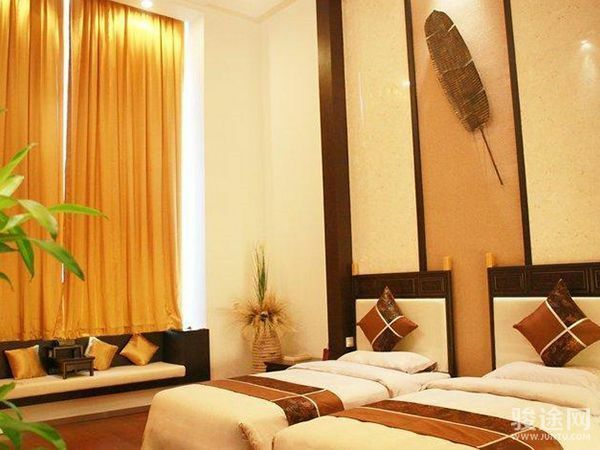 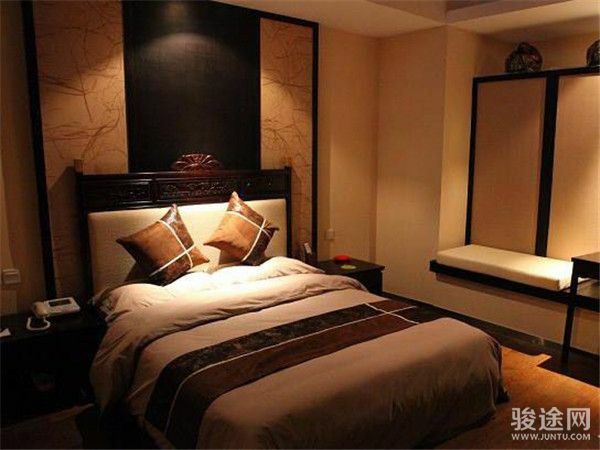 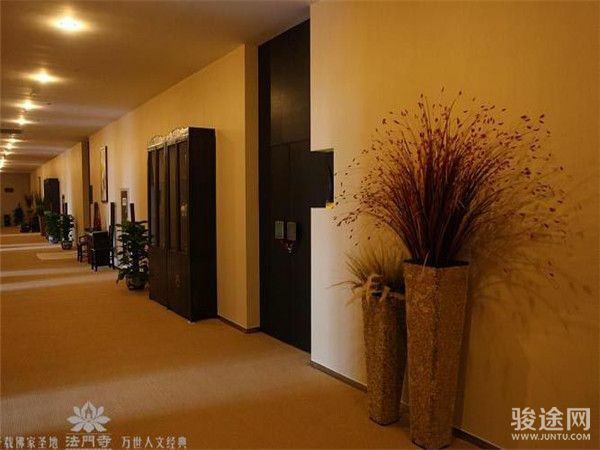 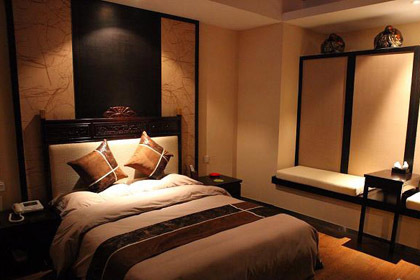 In addition, other facilities including the Buddhist lecture hall, Buddhist tea house, vegetarian restaurant and book saloon, which highlight distinct features of Buddhism culture, are well furnished in the hotel. 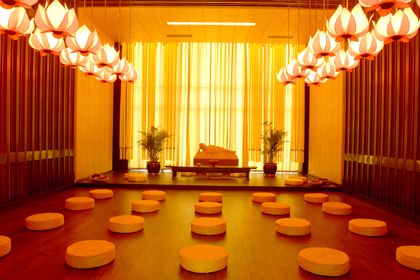 For centuries, quiet contemplation and meditation has been recognized as an important approach for Buddhist masters to comprehend Buddhism creed. 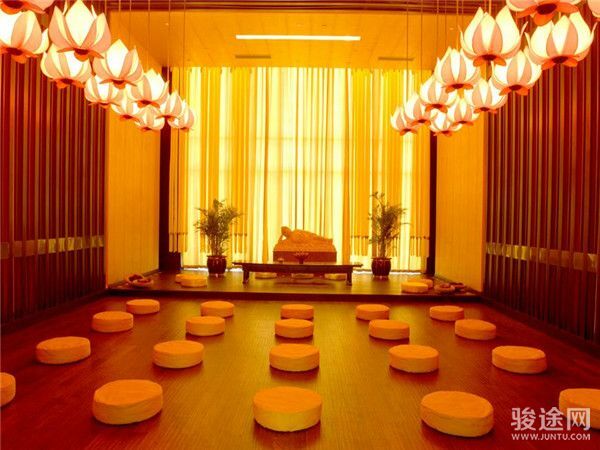 At the Buddhist lecture hall of the hotel, you can attend the lectures given by Buddhist masters and get enlightenment from meditation.Escaping from the mundane world, you can totally feel relaxed in quietness and experience with your whole heart the Buddhist doctrine of “Cherishing mercy and tolerance for all flesh”. 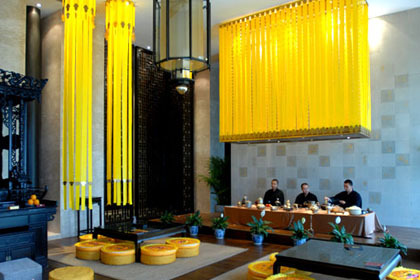 In China, Buddhist tea culture has a history as long and profound as that of Buddhism. 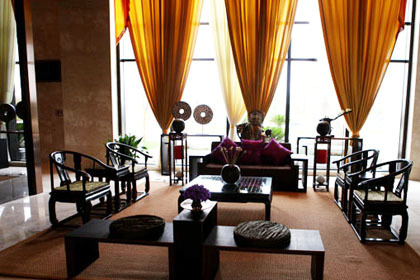 As it is described in the poetic lines that “Incense fragrance leads you to quietness and a cup of tea clears your mind”, the quiet and pure connotation of tea intertwines perfectly with the in-depth Buddhist enlightenments, which infuses humanistic ideas into the natural property of tea and guides Buddhist followers to the way of “cultivating their morality and promoting their wisdom”. 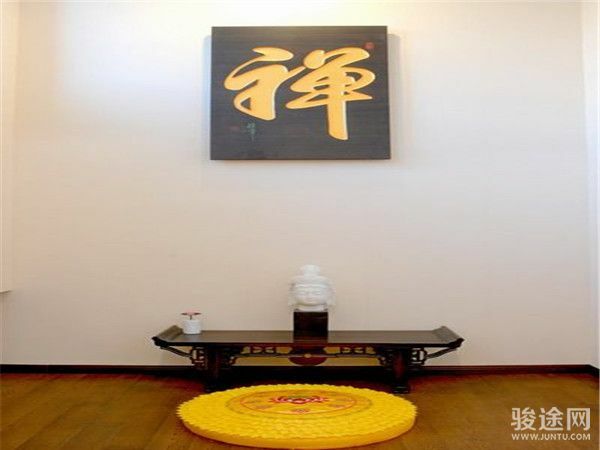 Revitalizing the Mandala of Famen Temple, the Huiyuan Zen tea-making ceremony restores the imperial tea-making art bloomed in Tang Dynasty and, in the meantime, highlights the Bodhichitta of enshrining the Buddha and sustaining the sentient beings. 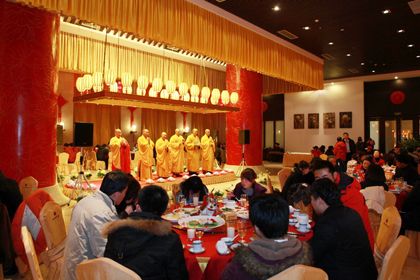 Hence, the Tang Mi tea-making ceremony of Famen Temple can be acclaimed the priceless Buddhist treasure that integrates the tea-making etiquette of Tang Dynasty with Buddhist culture. 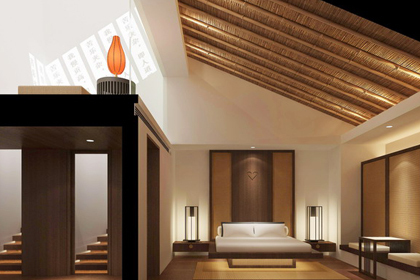 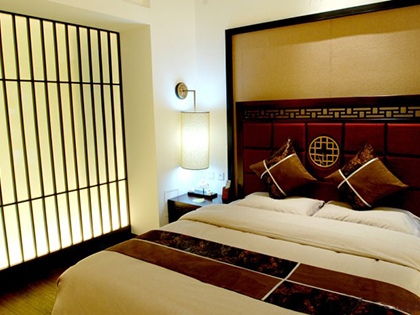 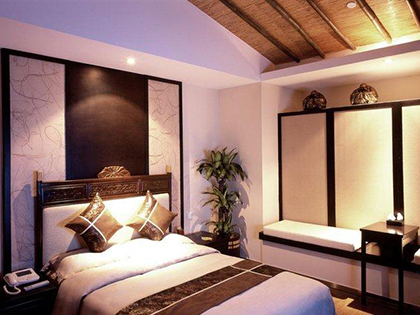 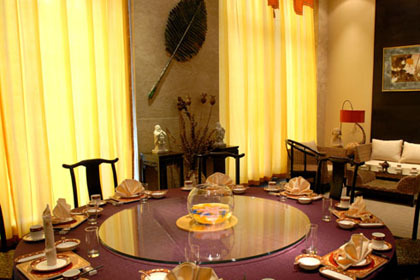 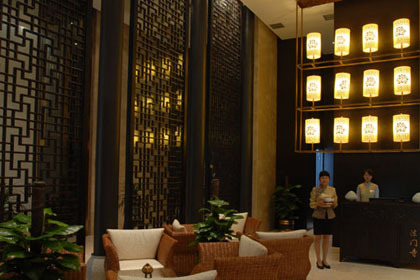 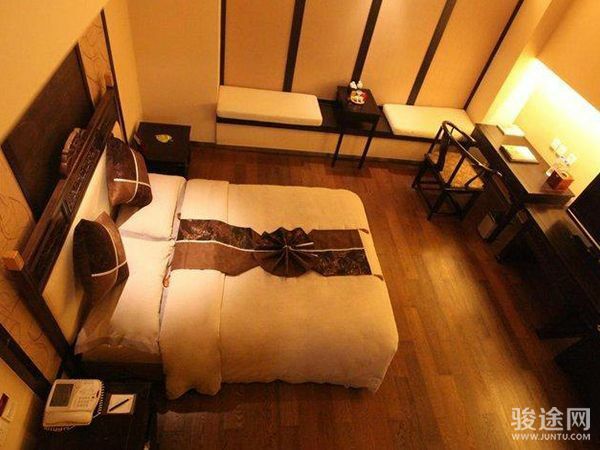 Foguang Pavilion comprises of Shanyuanju Vegetarian Restaurant and several VIP rooms immersed in Buddhist culture. 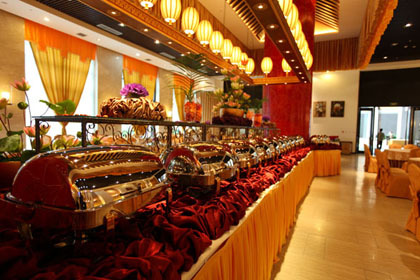 Here, you can enjoy yourself to your heart’s content at the delicious and delicate vegetarian buffet prepared by Mr. Chen Zonghua, the master chef of vegetarian cuisine. 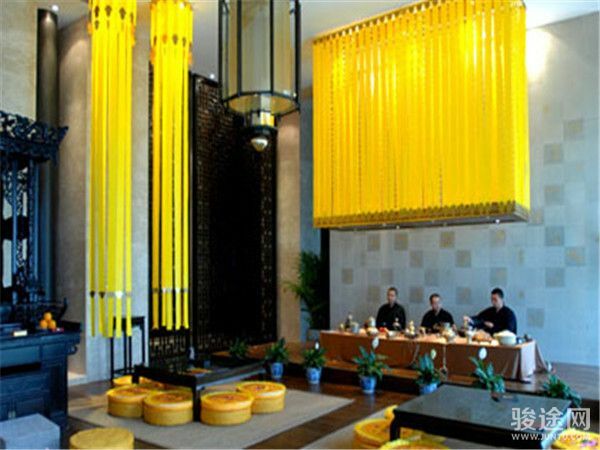 Among the vegetarian dishes, the “Arhat Vegetarian Dish”, “Five Bright Lamps Gather Together”, and “Identify the Buddha in the Pleasant Smell” are the most representative ones. 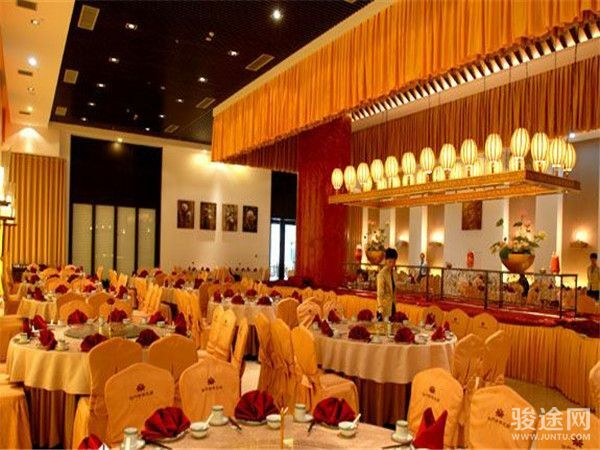 Made of deliberately selected ingredients and had their names derived from Buddhist classics, such dishes, characterized with delicate color, pattern, and taste, would present a feast to the eyes and taste buds of guests. 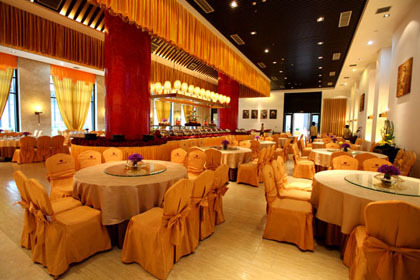 Combining Buddhist cuisines and the life-preserving principles, the vegetarian dishes offered by Shanyuanju Vegetarian Restaurant not only assure delicious taste, but also benefit human beings by promoting longvity, pacifying the mind, improving both physical and mental health, ameliorating metabolism, and conforming to ecological principles.